It intends to be the first socially conscious online retailer in Europe. Indeed, the team is on a mission to make healthy living affordable to anyone, including the low-income families or the households from rural areas. With Kazidomi, living with a healthy lifestyle will become a piece of cake. The sustainable e-commerce is on the rise and has no intention to stop its fast-paced growth. You can see Kazidomi like a shopping club online for conscious consumers. 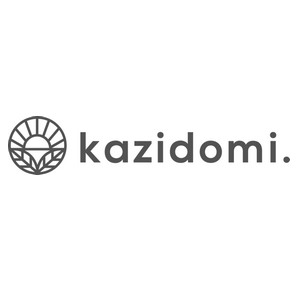 Kazidomi offers a membership-based service (100€ per year) that gives customers exclusive access to products at 20-50% discount compared to normal prices, therefore making money on the membership rather than on products themselves. The most exciting thing in Kazidomi is its hyper-scalable potential, as much as its fully integrated social mission. It is selling more than 2,000 non-perishables products ranging from olive oil to organic toothpaste (the catalogue is limited to a few top brands in each category thoroughly selected among the best with the help of health experts).